The media is abuzz about the speeches at the 2012 GOP Convention in Tampa, critiquing them on style, effectiveness, the number of laughs, the number of attacks on Barack Obama--especially the attacks on Obama. Clint Eastwood even got an invisible Obama to sit in an empty chair and become the foil for some raucously out-there jokes. On the last night of the convention, the night when Mitt Romney was to accept his party's nomination and give the speech everyone was waiting for, he was outstripped by an aging but really, really famous Academy Award-winning actor/director who called President Obama crazy and twice pretended that Obama was making crude suggestions about where Romney could put his, um, ideas. This was a moment so bizarre it rendered even the usually verbose Rachel Maddow speechless. The reaction over the Twitterverse, indeed over the entire Internets, was "What the Hell was THAT?" The Romney people were scrambling the next morning to tone down the tittering. "C'mon! It was just a light moment on an otherwise wonderful night." But it could be that the distractions are a blessing in disguise. The first days of the convention got a lot of attention, mainly because the main speeches were rife with easily refutable lies. The folks in the Romney camp would just as soon everybody--especially the newsguys--forget about that part. They're out there making their case for a Romney/Ryan win and the Clint Eastwood mess is a much more agreeable distraction than a bunch of lyin' liars. MediaIte: Jon Stewart video on RNC first night misquotes about Obama. The always entertaining LOLGOP looks at the "reporting" by Howie Kurtz. Michael Tomasky, Howie's Daily Beast colleague, finds a web of lies in Ryan's speech. ThinkProgress checks out the Wednesday night line-up. The WaPo editorial board dissects Ryan's misleading speech. Brian Beutler lists Ryan's top five fibs over at TPM. Joan Walsh calls Ryan's lies "brazen". 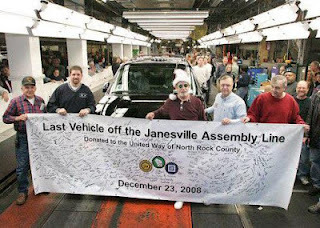 Ryan Grim sets the record straight on Ryan's lies about the GM Janesville factory closing. Dan Amira at New York Magazine called Ryan's speech "effective." He also called it "appalling and disingenuous." Conservative Ted Frier rips Ryan for his lies in "GOP holds Masked Ball, not Convention". Business Insider says there's a little problem with Ryan's account of Obama's role in the the AAA Credit Rating downgrade. Chris at Eclectablog does his own round-up of GOP lies from the Convention. And on and on it goes. One has to wonder if putting Clint Eastwood on stage in a dumb conversation with an empty chair mightn't have been somebody's brilliant idea to make this last convention night so memorable everybody would forget about those damnable, sticky lies. Mightn't it have been better to give Mitt Romney a speech that was unforgettable? Oh, right. Romney. Even the man chosen to introduce Romney--Marco Rubio--gave a token few minutes to talk about their party's chosen leader before turning the attention to his own--Marco Rubio's--life story. Poor Mitt gets no respect. When people are reduced to keeping count of the number of times his name is mentioned throughout the entire convention, it's clear it's not about him, it's about, I don't know. . .2016? Wonderful post as always, Ramona! What a circus the RNC was! Wow. Hi Stan, I never thought I'd have so much fun watching a Republican Convention. What a bunch of clowns, huh?